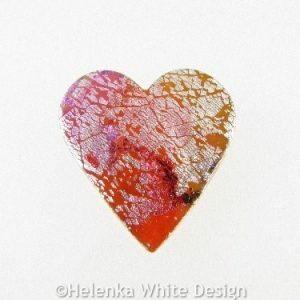 This folded copper brooch has been entirely hand crafted with polymer clay. 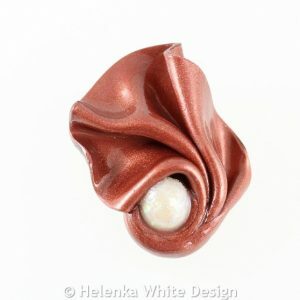 It has a faux opal pearl embedded in its folds. 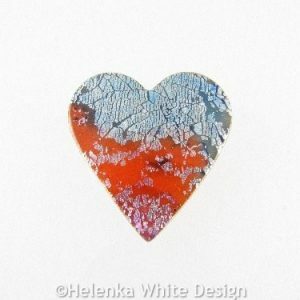 Handcrafted polymer clay heart pendant made with alcohol inks in blue and red, polymer clay and artificial silver leaf. 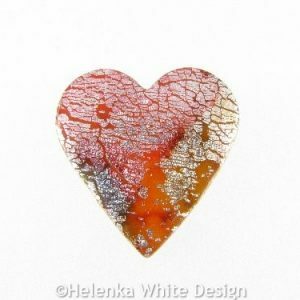 Sitting cat brooch handcrafted with polymer clay, alcohol inks and artificial silver leaf. 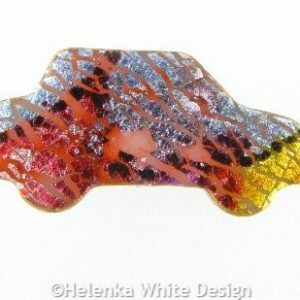 Sitting dog brooch handcrafted with polymer clay, alcohol inks and artificial silver leaf. 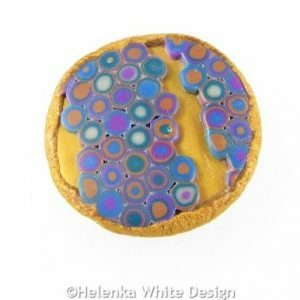 Giraffe brooch handcrafted with polymer clay, alcohol inks and artificial gold leaf. 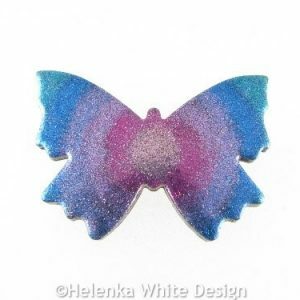 Standing cat brooch handcrafted with polymer clay, alcohol inks and artificial silver leaf. 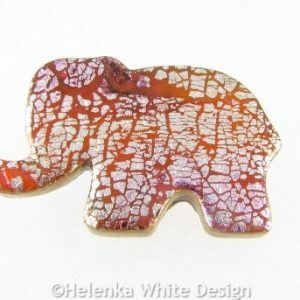 Elephant brooch handcrafted with polymer clay, alcohol inks and artificial silver leaf. 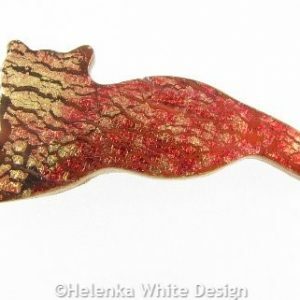 Lying cat brooch handcrafted with polymer clay, alcohol inks and artificial gold leaf. 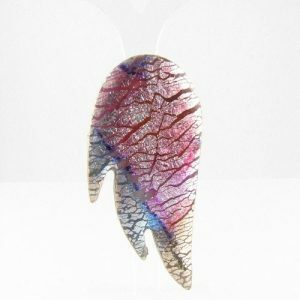 Bird brooch handcrafted with polymer clay, alcohol inks and artificial silver leaf. 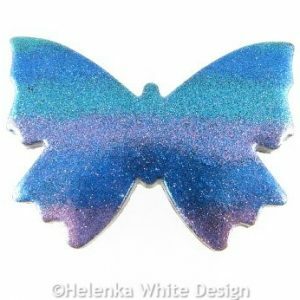 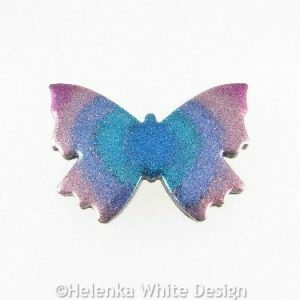 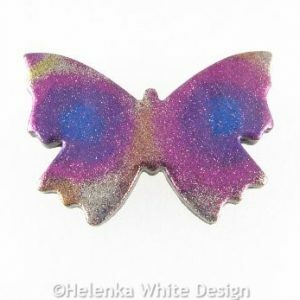 Angel wing brooch handcrafted with polymer clay, alcohol inks and artificial silver leaf. 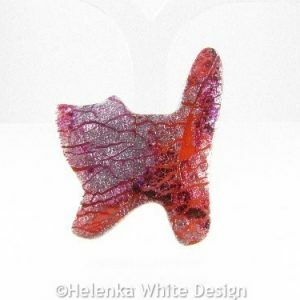 Teddy brooch handcrafted with polymer clay, alcohol inks and artificial silver leaf.